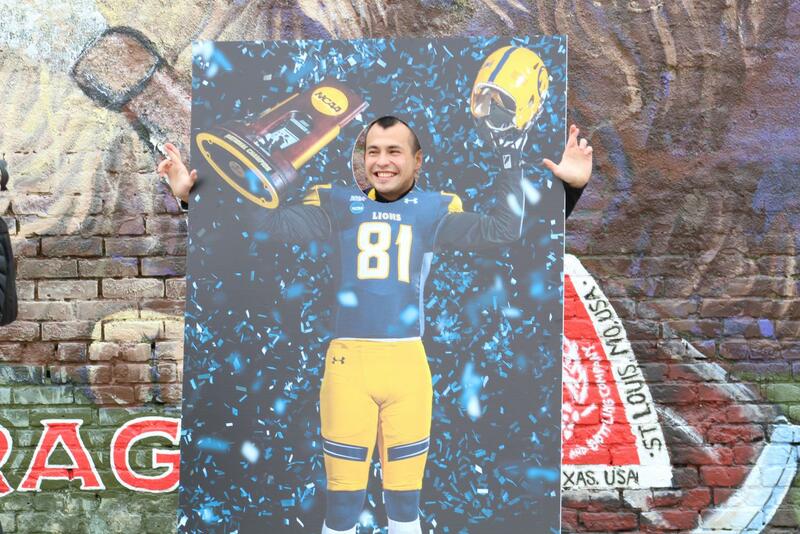 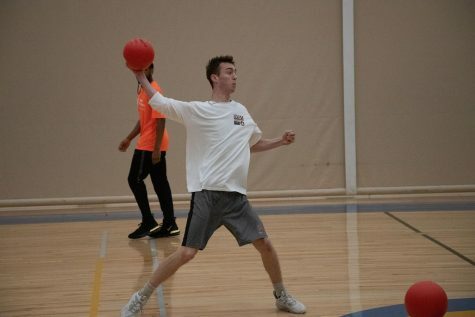 Kicker Kristov Martinez poses in the player cutout, hands crossed in the Lucky Lions symbol. 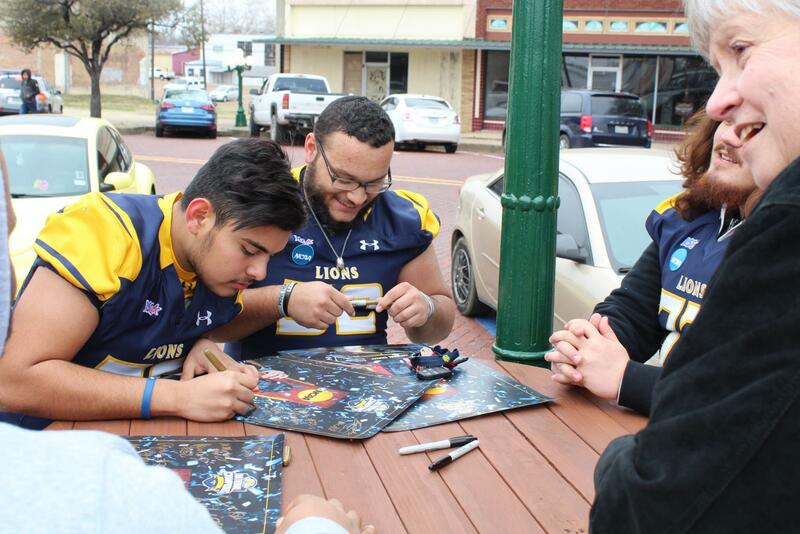 Players sign posters for students and community members. 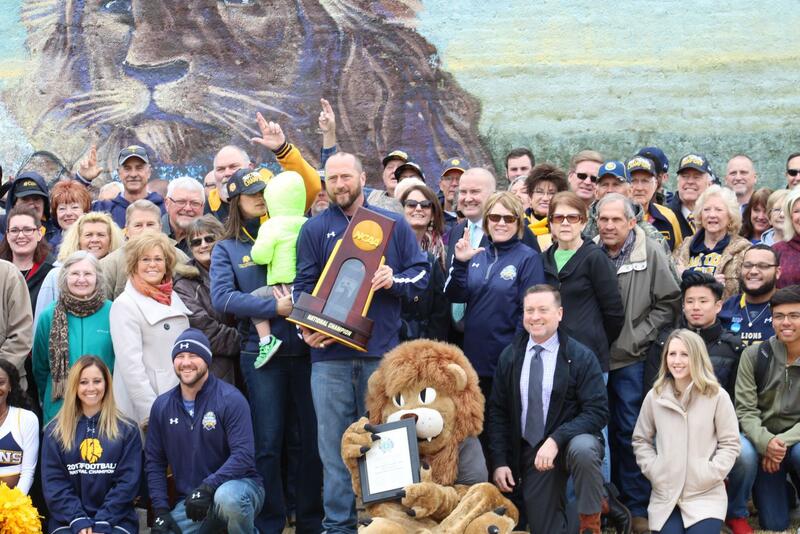 Head Coach Colby Carthel lifts the NCAA Championship trophy proudly in the Commerce square. 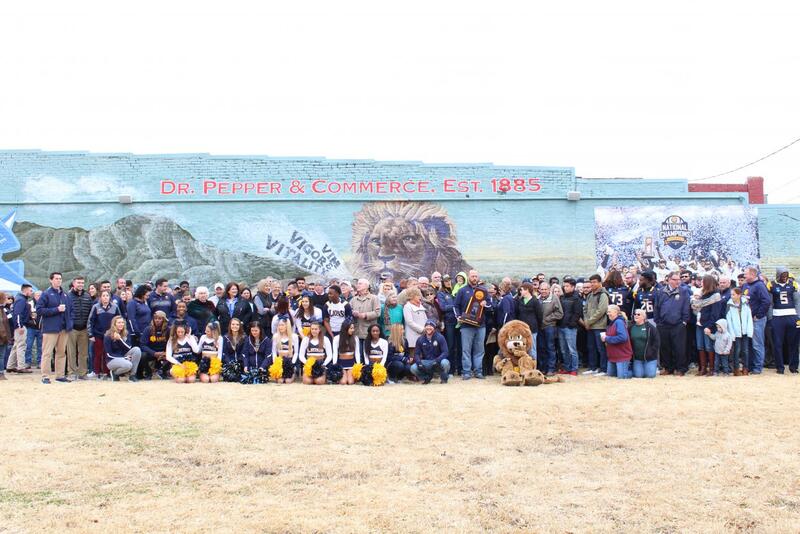 The university and Commerce community members came together to celebrate the football team’s national championship. 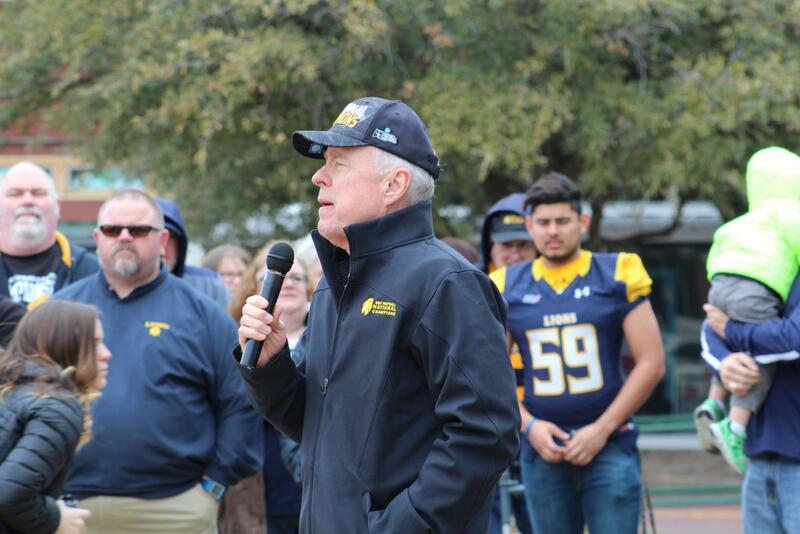 A&M-Commerce President Ray Keck speaks to the gathered crowd. 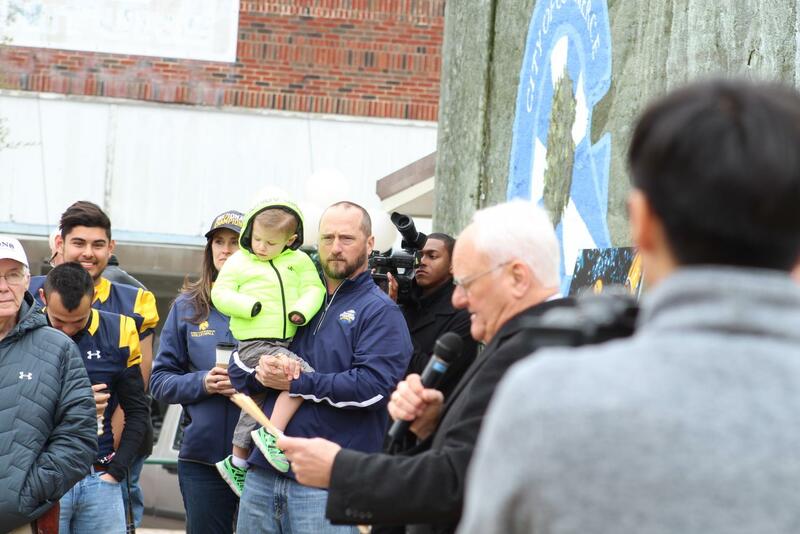 Head Coach Colby Carthel holds his son Major as Commerce Mayor Wyman Williams reads. 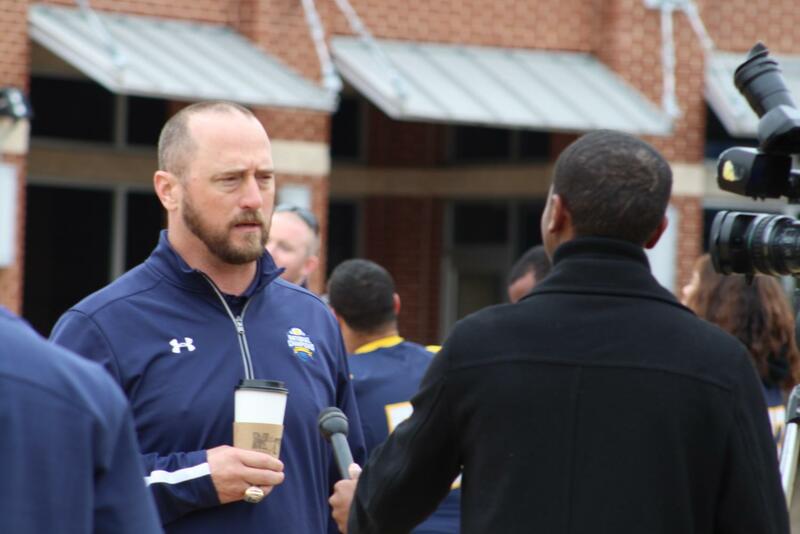 Head Coach Colby Carthel talks to a reporter in the Commerce square.